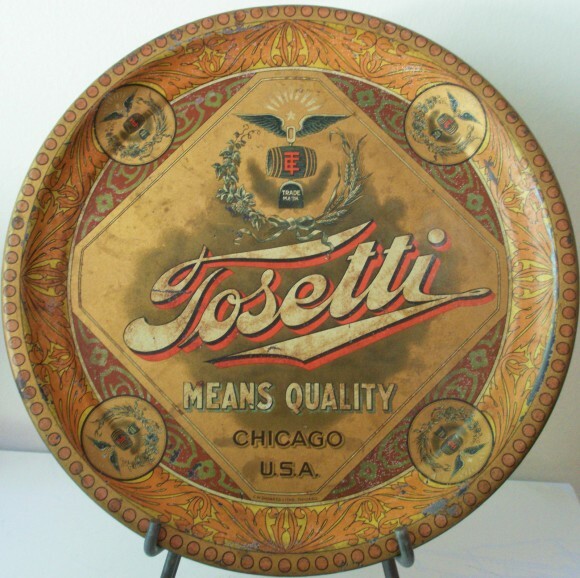 This tray for Tosetti Beers by the Tosetti Brewing Co. of Chicago (1886-1915) has a really great logo with black and red shadow. The background is also nicely designed without any major thematic elements, but has good visual interest even with the muted colors. The rim also features intricate decorative motifs. This is a tray that looks great on display.